Peter's hot tub with climbing wall and rope. The completed Killer Whale pool at the Vancouver Aquarium. 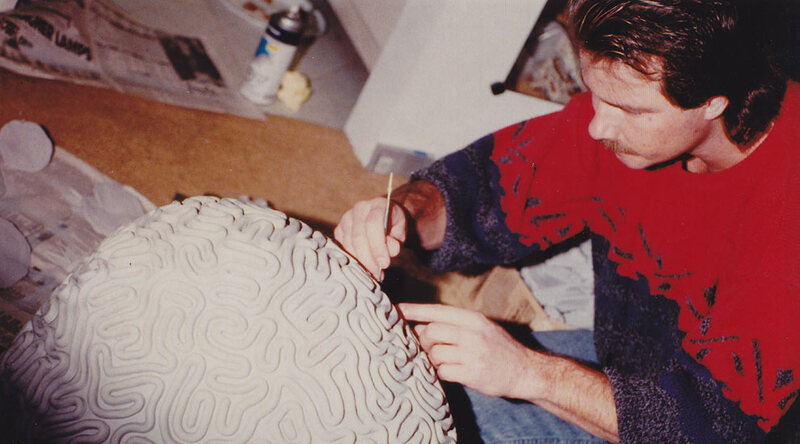 Peter carving a Brain Coral for the Tropical Fish Exhibit at the Vancouver Aquarium. Peter spraying a special concrete mixture during the construction of the Killer Whale pool. The Beluga Whale Pool appeared on the cover of the National Geographic magazine. One of Peter's Hot Tubs being used in a high profile fashion shoot. This lap pool, the centerpiece of a Great Estate, features a waterscape waterfall feature designed and built by Peter. Peter manning the water gun at the CFOX Kids Park in Vancouver's Stanley Park. The Pacific Inn Resort Hotel. Public space at the Vancouver International Airport. Rock wall project in China. One of Peter's more exotic pets. Son of an architect father, Peter has been sculpting artificial rock for nearly 30 years. He gained an early appreciation of aesthetics and the dynamics of form at an early age, and began working at the craft of artificial rock sculpting in his late teens, while concurrently embarking on diving and undersea explorations along the West Coast and throughout the Hawaiian Islands. Peter's career began as a one of a group of artists hired to sculpt the Vancouver Aquarium's first major theme exhibit, the Amazon Gallery. 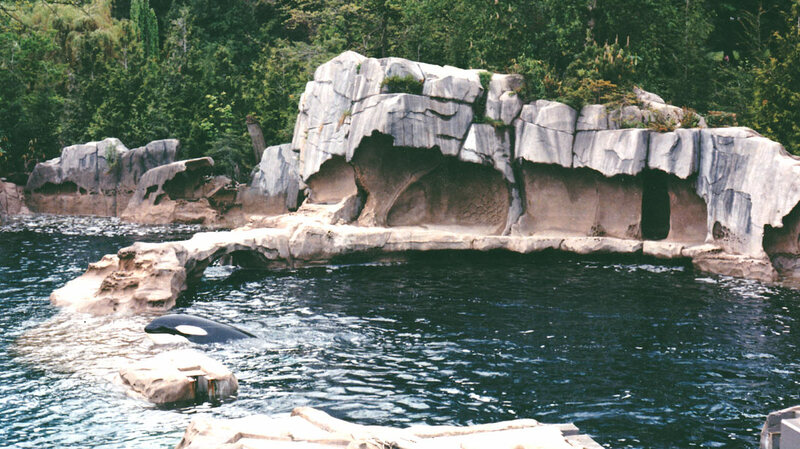 Peter's talents were soon recognized and he was retained by the Vancouver Aquarium to head the design and construction of the rockwork surrounding the Killer Whale Habitat. 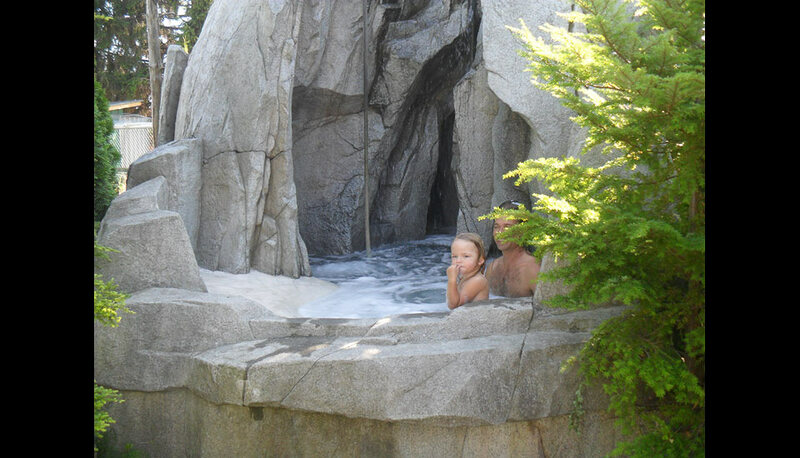 A major undertaking, the pool was one of the first in the world to reflect an actual natural habitat, as Peter’s design called for a backdrop of rockwork based on Gulf Island sandstone formations. Peter is also well renowned for his commercial and public spaces work with The Vancouver International Airport, Shaw Ocean Discovery Centre, CFOX Kids Park, and many other public and commercial projects. Peter has also led projects for clients in China, the Caribbean, and across Canada. In addition to all his own projects, Peter has been contracted extensively over the past twenty years as the lead designer and builder for other rockwork firms such as Arcon Rock and Waterscapes and Raincity Rock and Waterscapes. A graduate of The Emily Carr School of Art, Peter is an accomplished painter as well as a sculptor, with a strong affinity for realism and a love of natural subjects. His work is marked by a personal commitment to excellence and meticulous attention to detail.